ARTfelt Impressions: CCMC Preview Week Day 2! Hello everyone! It's week 2 of spring break for us. Time is going by way too fast! I just got back from my friend's house yesterday. Boy did we have a great time! Thank you, Sherry! Now I am making last minute preparations for my parents' arrival this afternoon! Busy, busy, busy! This week is Preview Week at Create with Connie and Mary! Yesterday I announced that I am a designer for the upcoming Cards "Create"tions Celebrations edition. 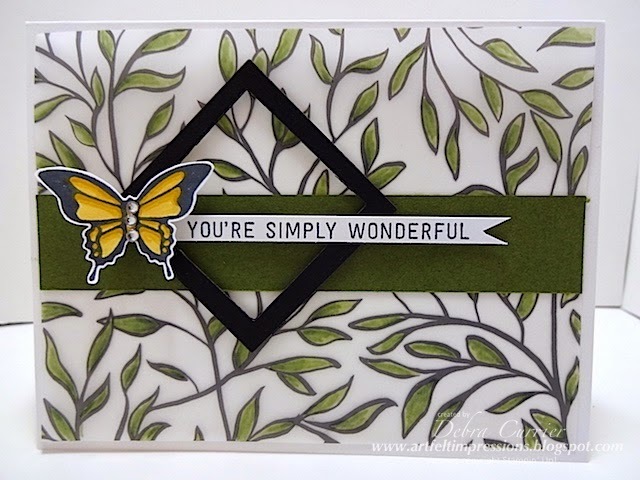 Today Mary has a super fun set of cards to show and is offering blog candy! 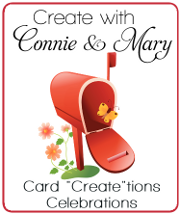 So be sure to visit the Create with Connie and Mary site to see how to enter into her drawing! Don't forget to download her free tutorial, too! For my card today I thought I would show some of the Sale-a-bration product. Tomorrow is the last day to order anything SAB! Don't miss out! I will be sad to see them go! Cut a piece of Sheer Perfection Vellum at 5 1/4" x 4"
Don't forget to check out Mary's awesome project at the Create with Connie and Mary site! And while you're there, sign up for the upcoming Cards "Create"tions Celebrations edition! You will love it!! I do hope to see you there! Thanks for stopping by and have a super day!